Edmonton is home to some of the most severe winter conditions, and to get through them safely, you need a good vehicle backed by a good set of tires. Thankfully, Great West Chrysler offers a diverse vehicle roster including vehicles from Chrysler, Jeep, Dodge, and Ram, vehicles that are designed from the bottom up to handle adviser weather conditions. 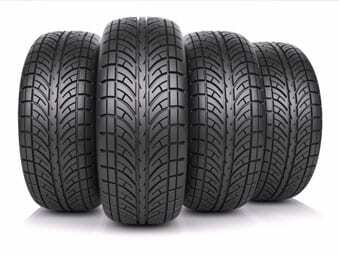 We’ve also got a vast selection of top brands for tires. Great West Chrysler is a dealership for the people. We’re always looking for ways to give back to our customers. This winter we’re offering our customers amazing deals on tires. 4 for 3 Deal. That means you get a full set of four tires for the price of three. All you have to do is bring in your vehicle, and we’ll advise you on which type of tire best suits your vehicle and one that will match your price point. Stop in to see us today for your winter tire needs and Experience Greatness at Great West Chrysler.